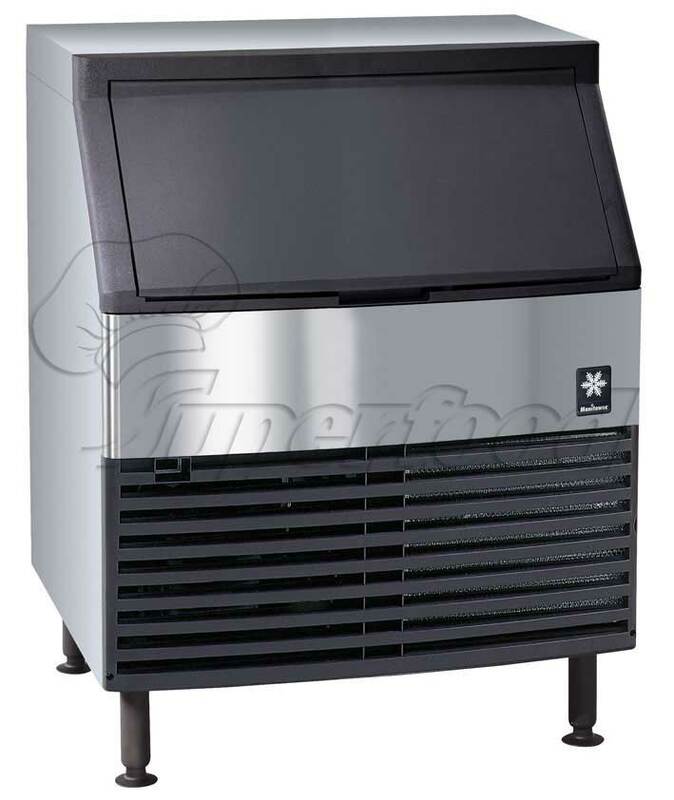 Under counter Flake Ice Machine. Up to 395 lbs. (179 kgs.) daily ice production.Only 26" (66.04 cm) wide cabinet. High efficiency bronze evaporator.Split collar evaporator support with shaft coupling ensures longer water seal and bearing life. Evaporator drain valve makes unit easier to clean; improves sanitation; and requires less maintenance. Patented cleaning technology. Q-Model styling displays a stainless steel exterior with the fit and finish of an appliance.